The purpose of this ministry is to reach out into the community and invite families to a fun and safe place to trick or treat. 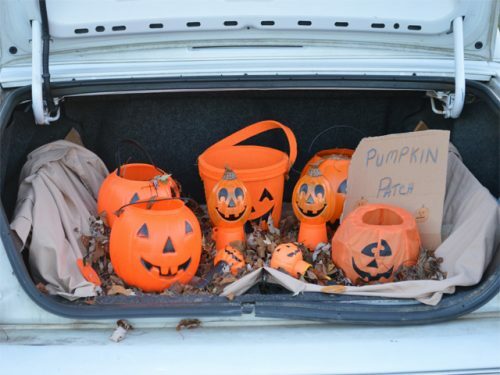 Everyone from the community is welcome to decorate their car and hand out candy, to trick or treat, or both. This ministry occurs around Halloween. Check the Events Calendar for this year’s event.